1851  Samuel Youngblood sold 268 acres Edmund Martin, his new father-in-law. Youngblood's first wife, Martha, died about 1841 and he married the younger Gracie Ann Martin (1). 1864  Samuel Youngblood sold all his belongings and property to his children for $1.00 but stipulated in this deed that he and his wife had the use and control of the property until their deaths (1). 1878  The plantation was divided after the deaths of both Samuel, in 1873, and Gracie Ann about 1875. Samuel and Gracie Ann's son, John Tyler Youngblood, took control of the plantation and continued to farm it (1). 1890  John Tyler Youngblood was appointed as County Treasurer by the governor. Since he was no longer able to work the plantation, he rented it out (1). 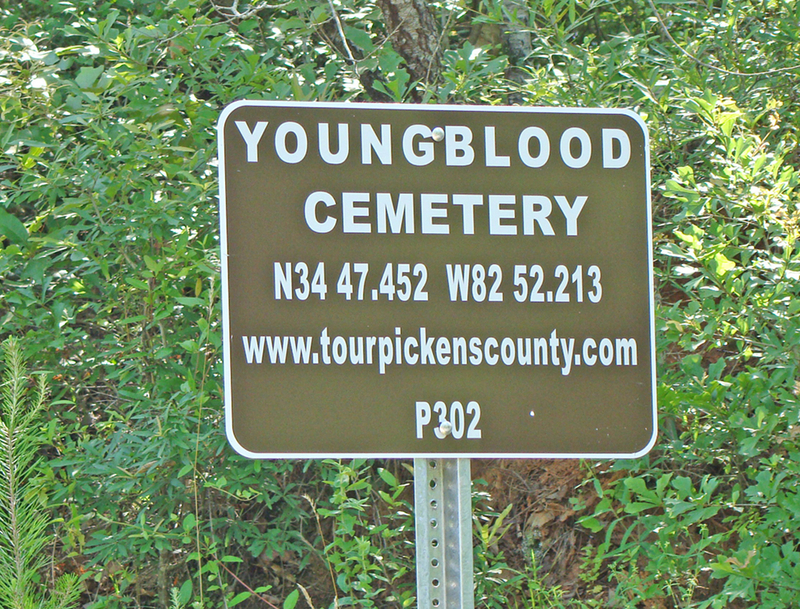 The Youngblood Cemetery is located very near where the plantation had been located (1).